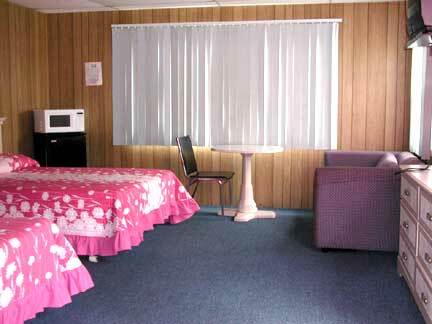 The Colony Motel boasts some of the biggest rooms in town. They are just the right size for you and your family. We really pride ourselves on the cleanliness of our rooms. Maybe that's why we have so many repeat guests. They come back year after year. We'd also like to think it's because of the friendliness of our staff. 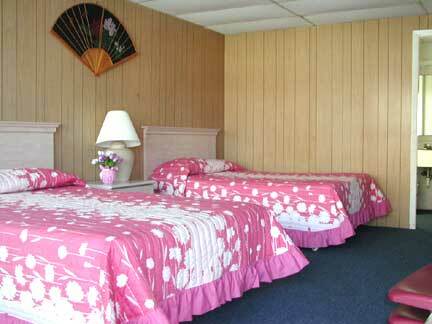 Call "Sunny" at the Colony Motel (8am - 11pm) to check for Reservations and the best Rates. 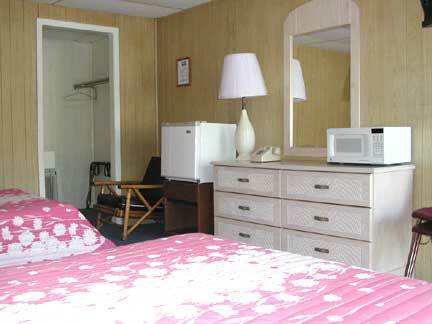 The "Standard" Colony Motel room sleeps up to 4 adults comfortably. 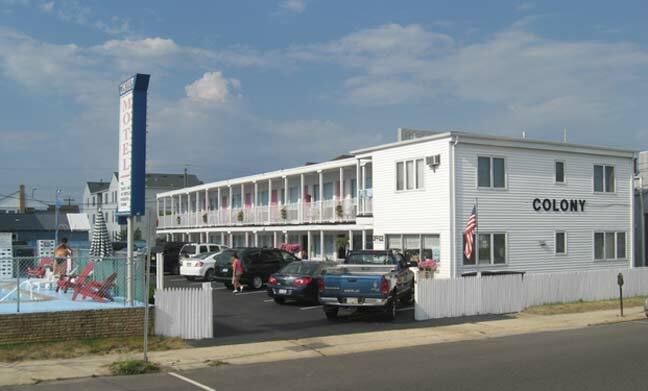 Each room has 2 double beds, wall to wall carpeting, full bath and shower, microwave, cube refrigerator, color TV (basic cable), air conditioner, Vanity and Mirror. 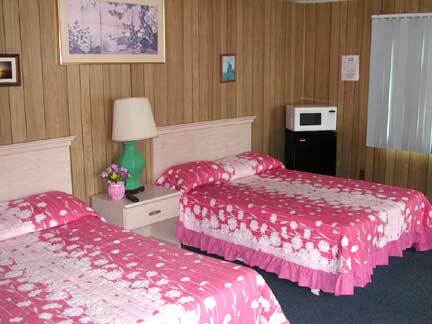 The "Deluxe" Colony Motel room sleeps 5 adults comfortably. Each room has 2 double beds plus a "pull out" couch which adjusts into a full-size bed, wall to wall carpeting, full bath and shower, microwave, bigger refrigerator, color TV (basic cable), air conditioner, Vanity and Mirror. There are only 2 rooms of this type. Reserve early for your best shot at our Deluxe rooms. Notice: Accommodations and facilities are for registered guests only. Sorry, no pets.